Mortar Tester - Used to test the quality and strength of mortar joints in brickwork. Used to test the quality and strength of mortar joints in brickwork. 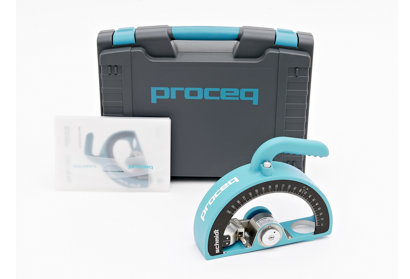 Due to customer requirements Proceq have re-introduced the pendulum rebound hammer OS-120PM specifically for the testing of mortar joints in brickwork. Mortar testing is difficult to undertake on site and joints are often too thin to enable sufficient or unbroken sample for laboratory testing. The pendulum hammer has a specially developed plunger shaped to apply impact to the surface of the joint. Based upon rebound values the quality of mortar can be assessed from ‘Excellent to Poor’. 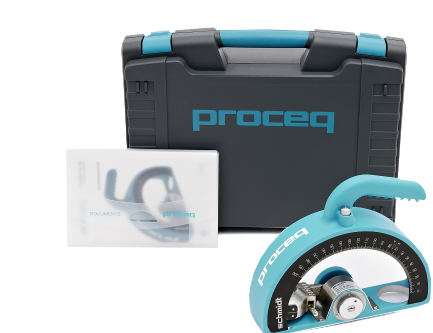 The Proceq test hammers are industry recognised, robustly constructed and widely used portable NDT measuring devices for the site assessment of material condition. Not sure about something? Email or phone us and we can help you out.